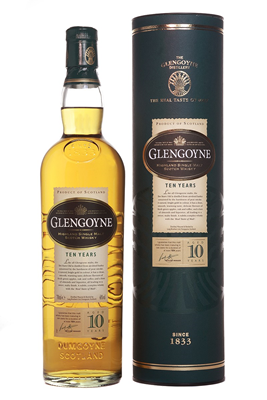 Glengoyne 10 Year Old Highland Single Malt Scotch Whisky 40% Alc/vol 70cl Bottle. Glengoyne Distillery is said to be Scotland’s Most Beautiful Distillery. Glengoyne Distillery has been in continuously operation since 1833 at Drumgoyne, just outside Glasgow. Glengoyne is unique in producing Highland Single Malt Whisky matured in the Lowlands. Situated on the Highland Line, the division between the Highlands and Lowlands of Scotland, Glengoyne’s stills are in the Highlands while maturing casks of Whisky lie silently across the road in the Lowlands. Glengoyne does not use peat smoke to dry their barley, but instead they use only warm air. This dram is quite easily available at your supermarket but can also be bought on-line or indeed go to the Distillery for a Tour, Master class, Whisky Tastings, Meetings and Private Dining and purchase your choice from their well stocked shop. 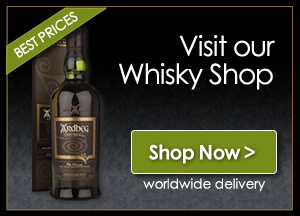 The Whisky Boys would suggest that you go and search Glengoyne on this site and you will find many articles/blogs on Glengoyne including their Christmas Festival, Recipes, Tastings and photos in our Gallery. This dram is a more subtle, complex Whisky in which all of the delicate flavours are freely allowed to express themselves mainly due to not having the heaviness of peat smoke to distract you from this smoke free zone. Remember when you visit this grand Distillery or indeed buy a bottle remember to tell them the Whisky Boys sent you.